James “Jim” Stewart, Diving Officer, Scripps Institution of Oceanography, University of California San Diego. 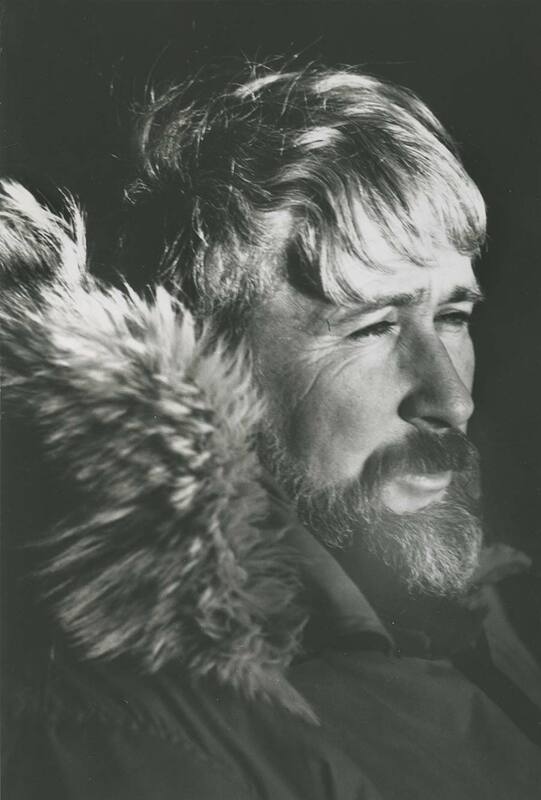 McMurdo, Antarctica, 1974. 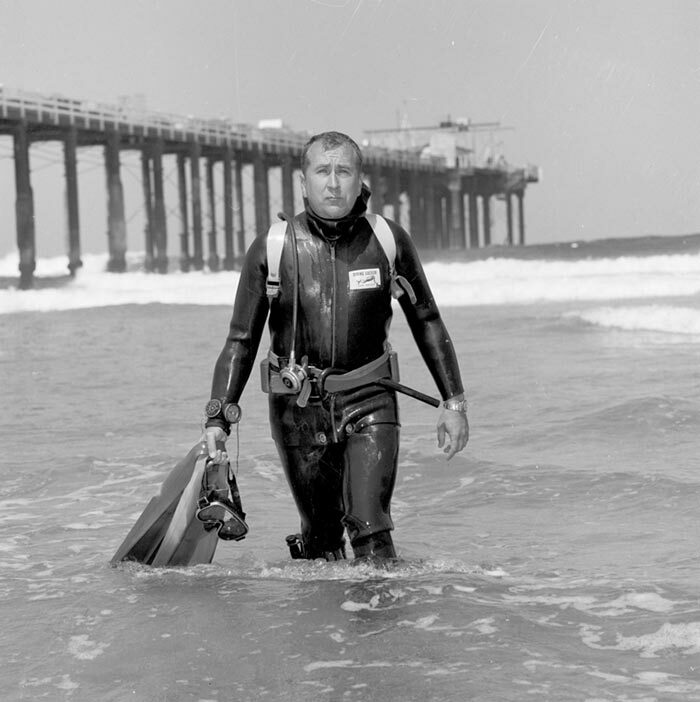 Stewart was a renowned diving expert and had been affiliated with Scripps Oceanography since 1952. 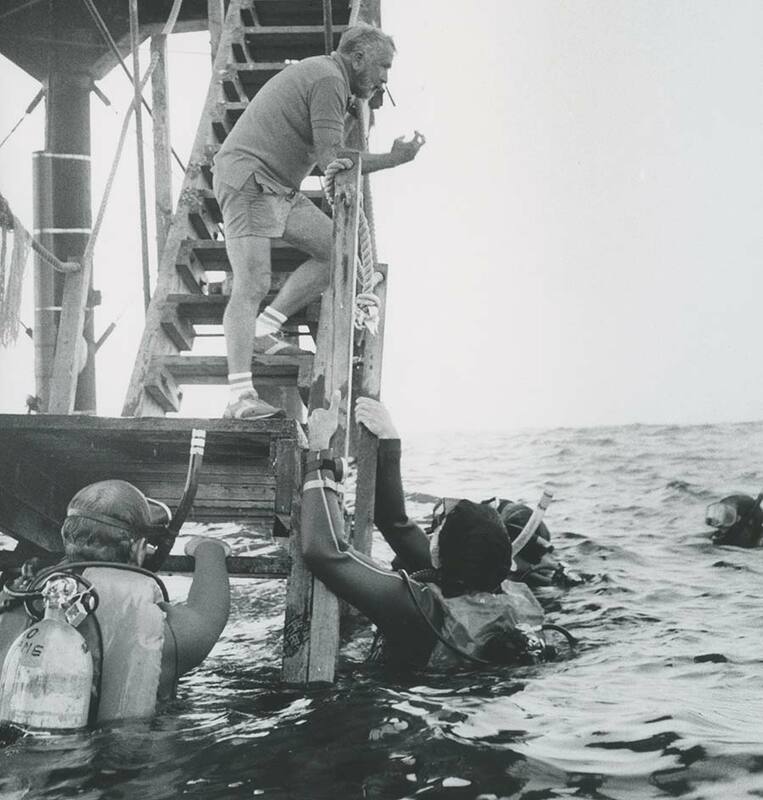 As diving officer from 1960 until his retirement in 1991, he managed the nation’s oldest and largest nongovernmental research diving program, which became the model for safe and effective conduct of international research diving programs. Born Sept. 5, 1927, Stewart was a native of San Diego and began diving in 1941—before the use of scuba. At the age of 14, he first borrowed a friend’s dive mask at La Jolla Cove. He put his head under water, started freediving, and quickly became a very accomplished freediving spear fisherman in high school. Stewart was drafted in the final year of World War II and went into the Army Air Corps in Nome, Alaska. Upon returning home in 1951, he became a member of the Bottom Scratchers, the world’s oldest freediving club. Stewart was the youngest member of the exclusive club, which changed the sport of breath-hold diving and revolutionized the use of equipment such as facemasks, fins, and spearfishing guns. Jim Stewart leading a scientific diving course from Scripps Pier at Scripps Institution of Oceanography, UC San Diego. In 2003, in honor of his years as diving officer for the National Science Foundation’s Office of Polar Programs, the U.S. Board of Geographic Names conferred the name “Stewart Peak” on a 1,097-meter mountain in Antarctica in his honor.